In this course you will learn the design, set up and maintenance of aquariums. aquarium maintenance and much more.. 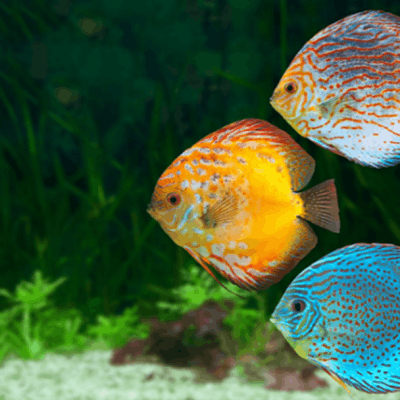 This online aquarium course requires no prior knowledge and is suitable for anyone involved with or interested in aquariums either on a professional basis or as a hobby. This is a self-paced course on aquariums with professional tutor support. You will gain knowledge and skills in managing a both fresh and saltwater aquarium systems, understanding about breeding fish in captivity, design and layout of various aquarium systems, maintenance, water quality management and more. Suitable for anyone from the home enthusiast to professional pet shop and aquarium supply shop employees, wildlife park staff and volunteers, marine scientists and so on. Determine appropriate equipment and systems for different applications in the provision of aquaria. Appropriate species of animal and plant life to introduce into an aquarium.  Water quality and management.  Learn about different equipment and setups.  Saltwater and freshwater aquariums.